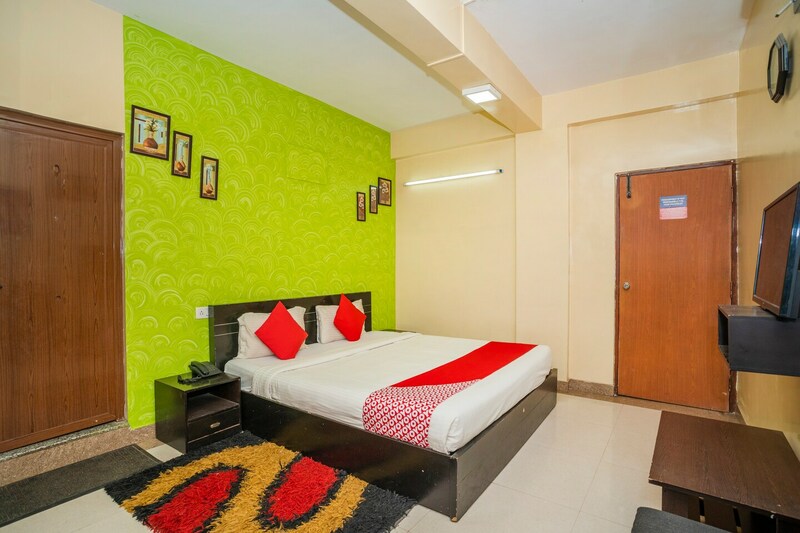 With its easy accessibility to many key attractions, OYO 2318 Hotel Tiara in Bangalore offers you the best services, experience and comfort at affordable rates. The hospitable and friendly staff of OYO ensures your stay is pleasant. The rooms are equipped with modern amenities like AC, Geyser and much more. The hotel provides facilities like fire safety, first aid and round the clock security for the guests security. To provide further assistance to our guests, we have a 24-hour helpdesk on our property. To make the most of your visit, head out to famous tourist spots like Shiva Temple, Wari Watai and Shiv Mandir. Out of Cash? There is State Bank Of India, Koramangla, Axis Bank ATM and CitiBank ATM in close vicinity to the property.